Time is coming for cherry blossom season in Japan. In South Japan it is already open, but the main season starts in early April. There are hundreds site where you can go for cherry blossom viewing, but if you have limited time you probably want to see the best of the best. 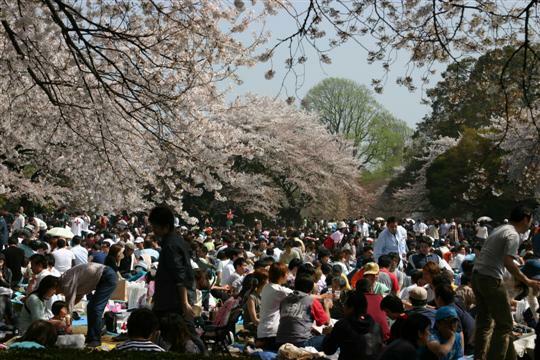 Here is the list with most popular hanami (“flower viewing”) places in Japan. The list is in alphabetic order. You can just pick one which one is closer to your location by looking to above map. So, lets start. 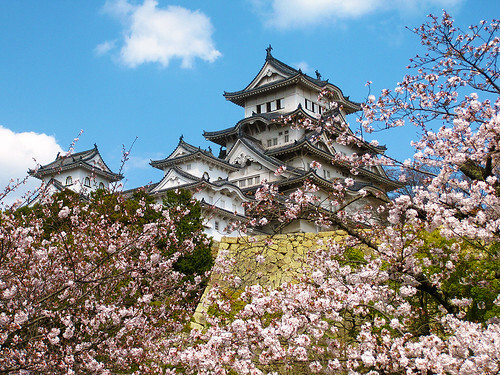 Castle is in walking distance from Himeji station. There are hundreds of cherry trees at castle grounds. Free admission to the outer castle grounds. 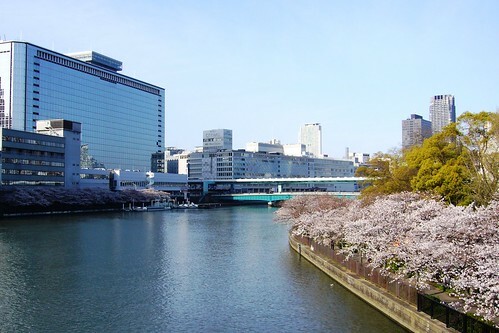 Over 2500 cherry trees with picnic areas, boat rental, trees illuminations at night. Admission free entry. 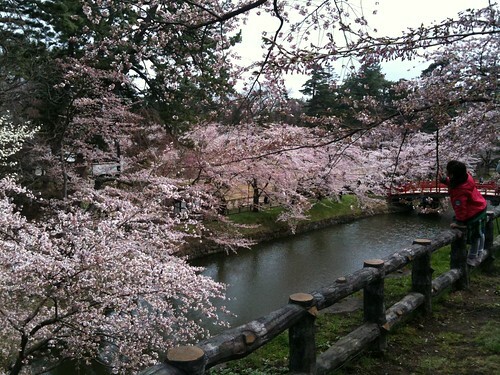 Almost 5000 cherry trees along Okawa River for several kilometers. Admission free entry. 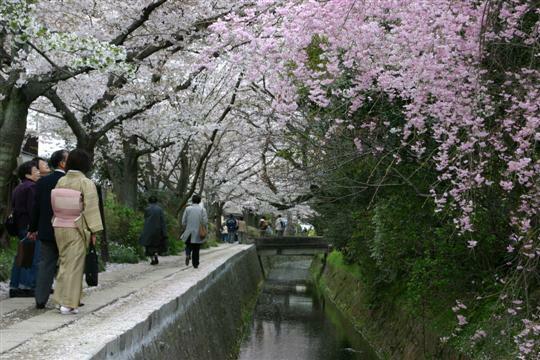 Path along canal between Ginkakuji and Nanzenji Temples lined by hundreds of cherry trees. Close to Shinjuku Station. Entry 200 yen. This park is very popular between locals and it can be very busy, but you will love it and atmosphere in the park. 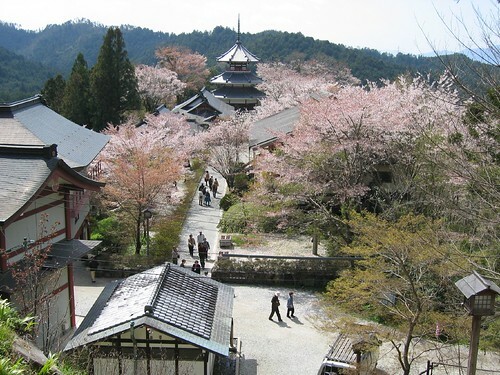 Mount Yoshino is very famous for cherry blossom viewing. There are approximately 30,000 cherry trees on the mountain. Check this list if it is still not enough for you. Cherry Blossom Festival 2012: This year Cherry Blossom trees will bloom a little later than last year because of the cold winter weather. WeatherNews (private forecast company) predicts Dates of first Blossom: March 29. Shinjuku Park and Yoyogi Park in Tokyo were both awesome in Cherry Blossom season. Great selection and I absolutely love the pictures. Japan is a beautiful place indeed. Consider yourself lucky if you get to see Sakura. Full blossom is somewhere between a week to 2. I went to Japan many times on/off for business. I only managed to catch it once. And it was really really crowded. Ueno Koen is another good place for sakura viewing too. In different places you can see blossom at different time. You still can catch it in North of country even if it is finished in South of Japan.